MB ChB DRCOG DFFP MRCGP (distinction) I graduated from the University of Liverpool in 1999. After working in a variety of hospitals in Liverpool and Manchester, I completed my General Practice training at Cornishway in 2004. Following this, I gained experience as a locum GP in a diverse range of surgeries in South Manchester and Stockport before joining the practice as a partner in April 2006. My work interests include paediatrics, teenage health and cardiovascular medicine. Socially I enjoy golf, snow sports and cooking. I graduated from the University of Delhi nearly 25 years ago. I specialised in Obstetrics and Gynaecology in India and in the UK. I was so impressed by the care we received from my GP when my son was born that I decided that General Practice was the career for me . After completing my GP training at Cornishway I joined as a Partner in April 2006. 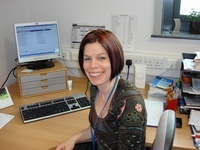 I used my Gynaecology training to set up and run a National award winning Gynaecology service for Manchester PCT. I am a GP Specialty Trainer and have recently been appointed GP Appraiser by NHS England for GP colleagues practising in the North West. My areas of interest include Women's health including specialised family-planning services like implant and coil fittings, sexual health and children's disability. Out of work I like walking, reading and travelling. In my "spare time" I am attempting to learn to speak Spanish and dance the Flamenco - both without much success! I graduated from Manchester in 2005 after previously having also studied in St Andrews. I gained experience working at Royal Oldham, Preston and Wythenshawe hospitals before completing my GP training at Cornishway as a registrar in 2011. Outside of work I enjoy hiking, golf and baking. MBChB MRCGPI grew up in the New Forest and moved to Manchester to study medicine in 1998. I graduated in 2003 before undertaking junior doctor posts in Manchester and Blackpool. I then worked in Sydney, Australia for two years before returning to complete my GP training in Wythenshawe in 2008. Subsequently I have worked in posts around Manchester, most recently as a salaried GP in Fallowfield. I also work for the Mastercall out of hours service in Stockport, and Manchester University Medical School. I have interests in Musculoskeletal medicine and sports injuries, Paediatrics ,male Sexual Health medicine and medical education. Outside of work I enjoy playing and watching football, going to the gym, gardening and cooking. 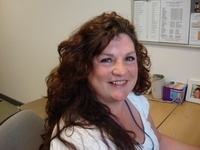 I recently qualified as a Registered nurse in May 2010 and joined the Cornishway Team in July 2010. I have been warmly welcomed into the team. I am enthusiastic and eager to further my knowledge and gain plenty of experience in practice Nursing. Outside work I enjoy looking after my 3 children, socialising with friends, shopping and reading. Manager Partner - Dip. PM I have worked in the NHS since 1995 and joined Cornishway in May 2001. My role involves managing the smooth running of the Practice and ensuring that all patients receive a professional and efficient service. Other responsibilities include providing strategy and business planning for the development of the practice. I enjoy being part of a thriving, forward thinking practice and have seen the practice grow in the number of patients, staff and GPs over the years. Outside the practice I enjoy listening to music, watching the soaps and most of all playing with my two grandchildren. If you have any questions, queries or comments relating to the improvement of the Practice I would be pleased to hear from you. I joined the practice in 1988 as a medical receptionist gradually working up the ranks until I was appointed assistant practice manager in 2005. I work closely with Mrs Langley to ensure the smooth running of the practice. The health visitors no longer offer a clinic in the surgery due to their withdrawal by Manchester PCT. They can be contacted on 0161 435 3500 or 0161 435 3697.